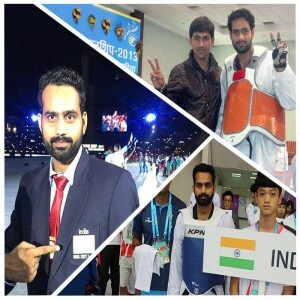 We have often heard about the young talented shooters all around the world, and even our Indian shooters have played a big role in uplifting the stature of the sport in the nation. 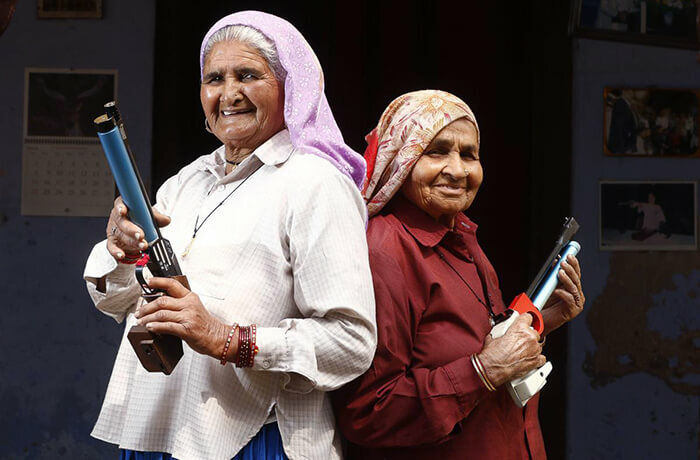 But can you ever imagine a 65-year-old lady who has six children and 15 grandchildren, from a patriarchal state of India, could beat even the young sharpshooters in a blink? The world knows her as the "Shooter Dadi", the title she rightly deserves. 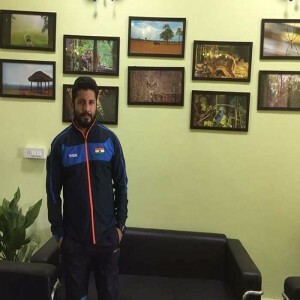 It was a sudden decision that led Chandro Tomar to become an inspiration for every aspiring shooter especially females who belong to rural regions of the country. To inspire the Indian rural woman, prominent director Tushar Hiranandani and Producer Anurag Kashyap have made her biopic “Saand Ki Aankh” starring Taapsee Pannu and Bhumi Pednekar playing the role of shooter Dadi Chandro Tomar and her sister-in-law Prakashi Tomar. 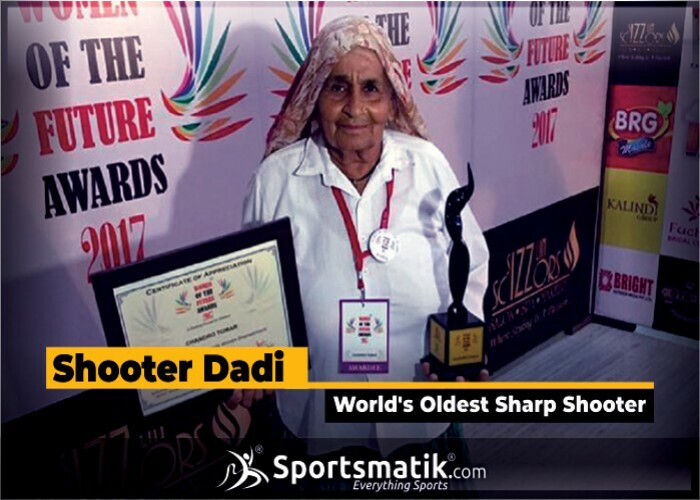 The team of sportsmatik.com has a word with the Grandson of Mrs. Chandro Tomar about her extraordinary journey to becoming Shooter Dadi and what we came to know is entirely soul-stirring. Wanna know? Here are some of the pieces of the interview session that we had with Mr. Sumit. 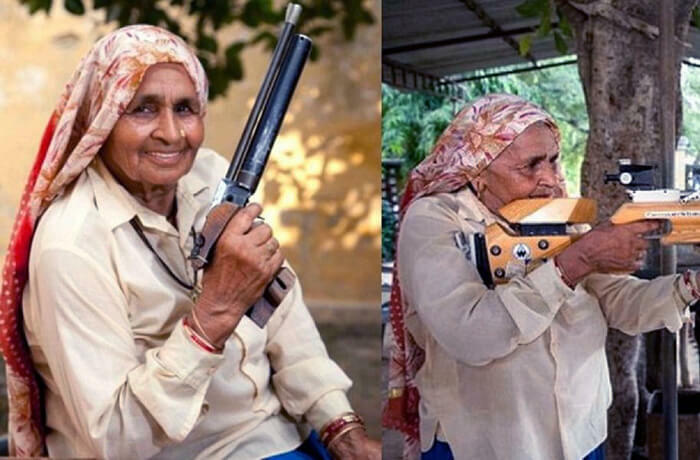 She has been bestowed with the title "Shooter Dadi" being the world's oldest sharpshooter. How does she feel? Yes, she feels really proud of the title that you all have given her. Initially, she was not much adapted with the media environment and these things, but when people started approaching her by watching her pictures on print media and her story published on other platforms, she understood how it all goes and then she started involving with all her heart. 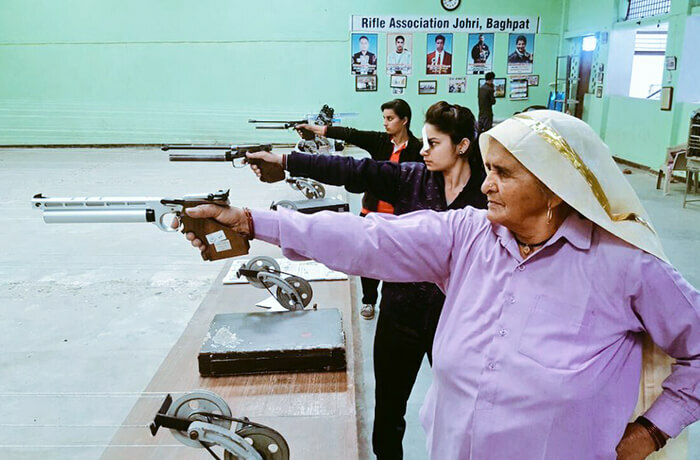 Although she doesn’t participate in the competitive shooting now, but she trains village girls, mentors them for their fine grip, promotes shooting wherever she goes and likes interacting and sharing her story to inspire others, and that’s what makes her “Shooter Dadi”. Why did she choose shooting? That was all scripted by destiny. It had to happen in her life. There were no plans about that. It was just one fine day when she went to a small shooting range made by her co-villagers near her house where she wanted to enrol her granddaughter Shefali. When she observed how things were done, she had an inner instinct to try her hand and moved for a shot. The shot hit perfect and everyone was surprised to see her firm grip with focus on the target being a 65-year old lady. They all prompted her to try another shot that too hit perfect and the whole village came to know about the incident that led her to go for the sport. And there she is today as an inspiration for many of us. She belongs to a patriarchal state of India where women are not considered doing such things, but she did it. Wasn't there any barrier being a lady to go for shooting? 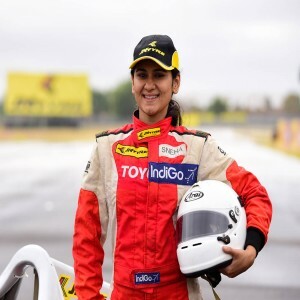 As you know she belongs to Baghpat, Uttar Pradesh which is considered as one of the most infamous District of India for gender stereotype, child marriages and such affairs but she did it and left a fine example that sports have no boundaries and now things have changed a lot. We have seen lots of development in the state, in people and of course, in their mindset. How did her story inspire other women? Her story has greatly inspired other females not only from our state but pan the country and even from other countries. Of course, the initiative was not a cup of tea at the village and there were various obstacles in her path. She was ridiculed and taunted for her choice but she didn’t quit and kept on moving with all her passion inspite of the fact that she was 65 years old, a mother of six children. It was really an odd thing to be consumed by the stereo minds. But with her exemplary performances, she started becoming the icon amongst the village girls and gave them a new ray of hope to pursue their dreams and not to be bound by the narrow strings of the society. Does she still participate in shooting events? Yes, she has participated a lot in shooting events. Her first event was in 1998 when she was 65. 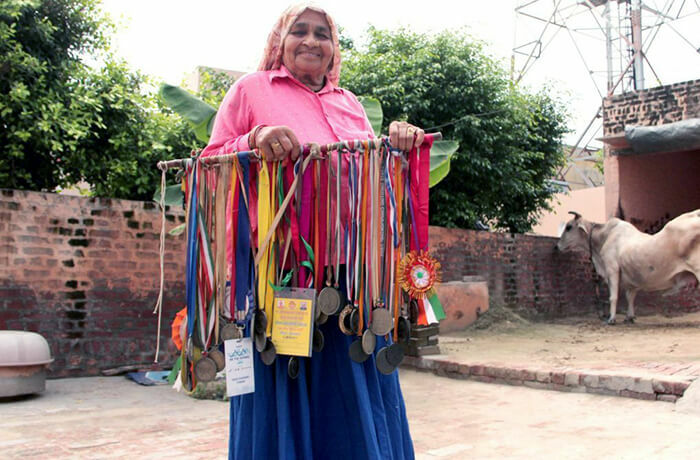 The thing is that she didn’t participate on regular basis but yes she has performed and won numerous medals at, state level, zonal competitions and pre-nationals in the veteran category having participants of 60+ ages. What will be her message to the young shooters of the nation? There are basically two messages that she often states to youth in her native language that is, “Tan Budhha hota hai, mann budhha nahi hota” (it’s the body that gets old not the soul) and another message is “Lagan aur mehnat se sab kuch paya ja sakta hai” (everything is possible if you have that strong will and efforts). Amongst the shooting guns, pistols and revolver, which one is her favourite? Her most favourite weapons are 10m air pistol of Steyr brand and 25m sports pistol with which she used to compete. Shooting requires lots of patience and concentration. How does she practice them? As she belongs to a farmer family, she had led a very disciplined life like waking up early at 4 O’ clock, doing daily chores, doing farm works like dairy stuff and field tasks. Besides this, she also does meditation and yoga. So these things and her daily life routine have helped a lot to learn her sport and keep her focus. Why should young kids take up shooting as a sport? Shooting is a sport that gives you a lot of stability both mentally and physically. It is just like a meditation that synchronizes your mind, body and soul to work together with peace. It makes you more balanced. What does she think about the stature of shooting so far in India? That’s incredible! The Indian shooting journey is really incredible and there are lots of improvements in the stature of the sport in the past few decades. Her own granddaughter is pursuing shooting right now and our shooters are bagging numerous medals at the big sports stages like Olympics, Commonwealth and Asian Games etc. and it has been one of the prominent sports of India right now in which the nation has topmost rankings. The youngsters are performing really well in shooting like Manu Bhaker, Saurabh Chaudhary and Mehuli Ghosh who are really talented; we hope they will lift the level higher and higher. Apart from Shooting, which other sports does she like? She likes to watch Kabaddi and Wrestling. Which was the toughest competition of her life? See it’s not about the competitions but the fight that she lead against the patriarchal theory and male-dominated society that laughed at a 65 years old grandmother, stepping out of the house and playing with men in the Desi attire, wearing Ghaghra and kurta and lifting up a gun to participate with young boys, bearing up all the scars of taunts and criticism alone just to chase her passion with all her sincere efforts and she has successfully broke that stereotype and paved the way for young women. And now, the narrative has changed; the society has changed and now started looking at her for inspiration. So, that’s what I think is the toughest battle of her life. What are her views about the initiative taken by Sportsmatik.com? 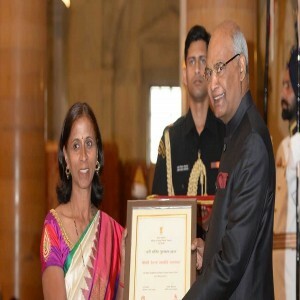 She feels happy and proud whenever she comes to know about the initiatives taken to uplift the stature of sports and athletes in the nation because she is too involved in promoting the sport in the nation especially in the rural areas where people have a plethora of talent but lack in guidance. So what your platform is providing is worth for all sportspersons and fraternities of sports. All the very best!